This is a mini batch of news since I feel like cramming everything in one post seems to overwhelm a lot of people and sometimes, certain dramas get glossed over. Lol. =======> ♦ High school drama, When We Were Young (青春最好时), with Ceng Shun Xi and Zhang Xue Ying drops first stills. This actor has some prominent eyes. 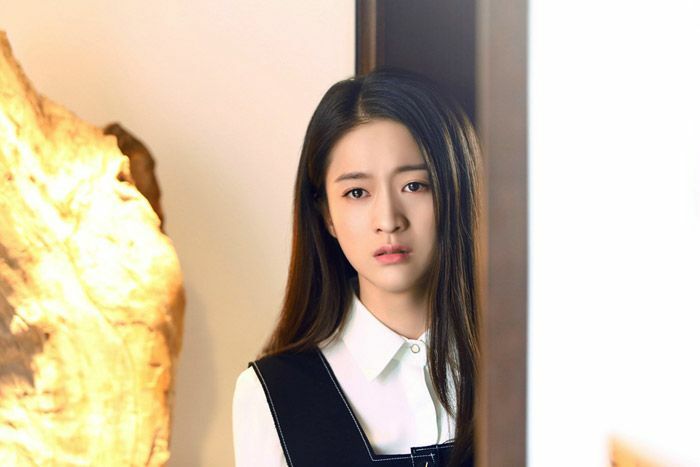 The storyline revolves around twins (female lead) being separated and meeting later in school. 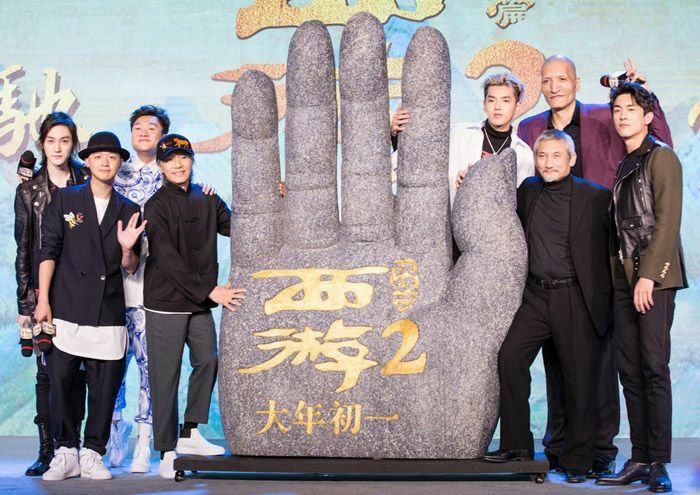 =======> ♦ I didn’t watch part 1 so surprised to see Part 2 with a new cast in Kris Wu (as Monk Shifu), Lin Geng Xin (as Monkey King), Yao Chen, and Wang Duo for Journey to the West: Conquering the Demons 2 (西遊·降魔篇). 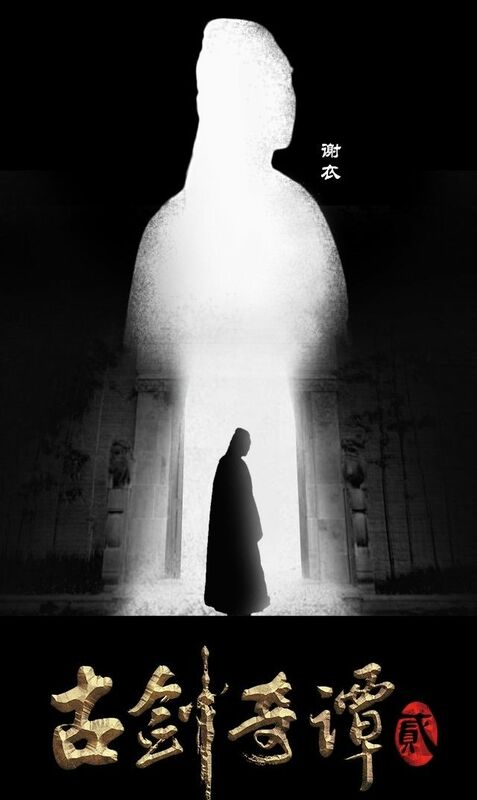 It’s directed by Tsui Hark and written and produced by Stephen Chow. Release date: January 28, 2017. Trailer and a press conference below. I really don’t know how to make of the trailer. Lol. 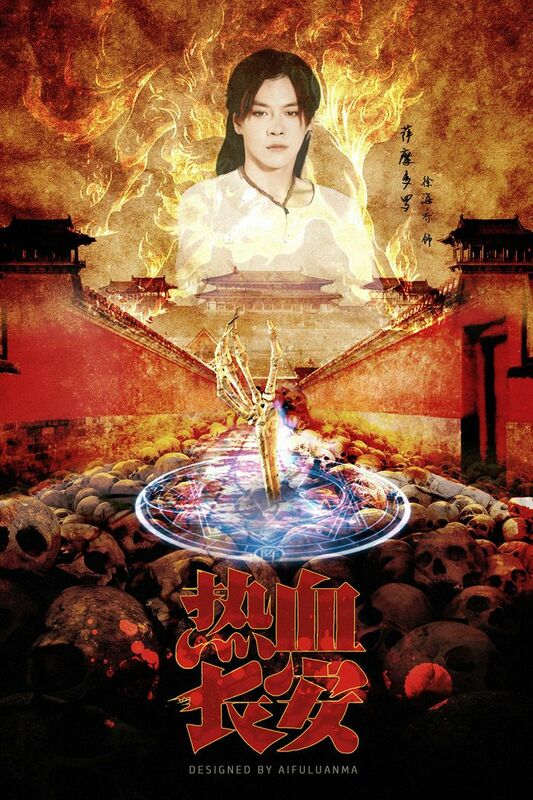 =======> ♦ I posted the LQ trailer before, here’s the longer and HQ version of Wu Xin The Monster Killer Season 2. =======> ♦ One new Poster for Wallace Chung and Angelababy‘s General and I (孤芳不自赏). They are so pretty. 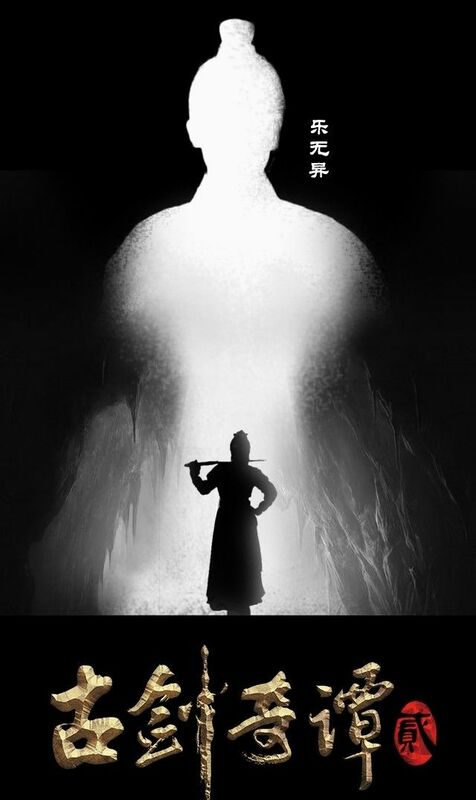 =======> ♦ Posters for Legend of the Ancient Sword 2 (古剑奇谭二). 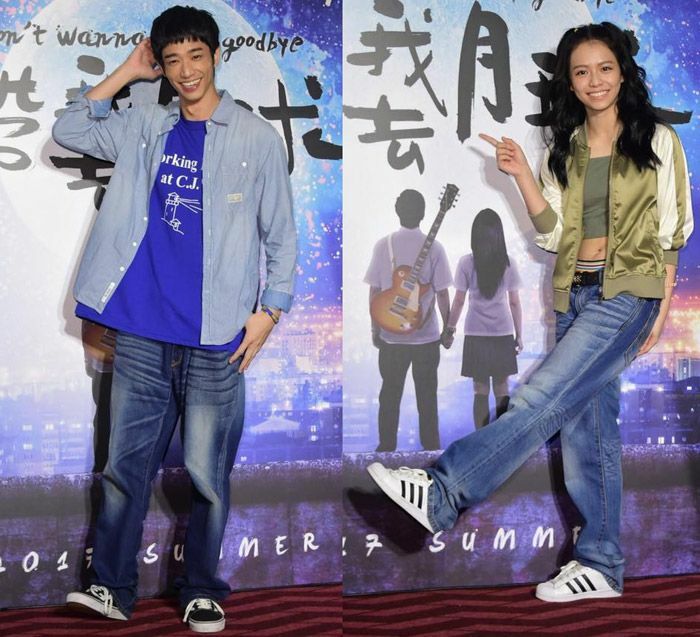 =======> ♦ Taiwanese Actors, Jasper Liu and Vivian Sung, will star in an upcoming youth film about the 80s called Don’t Wanna Say Goodbye. Aww, so cute! 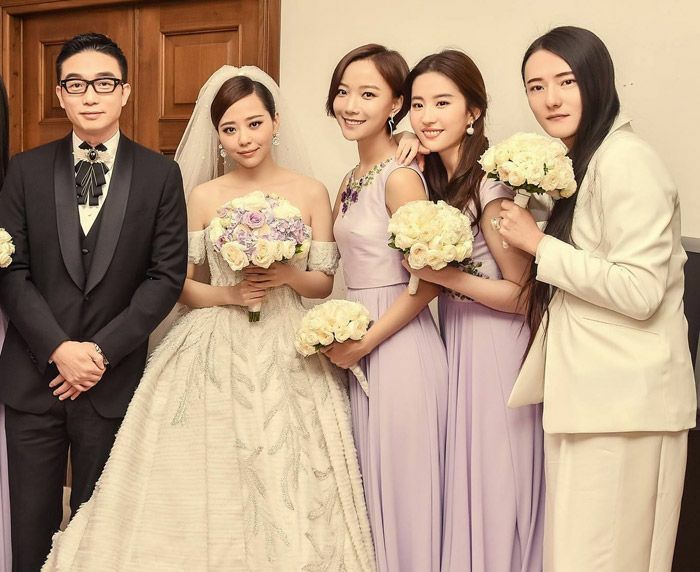 =======> ♦ Jane Zhang has some beautiful bridesmaids on her wedding day. 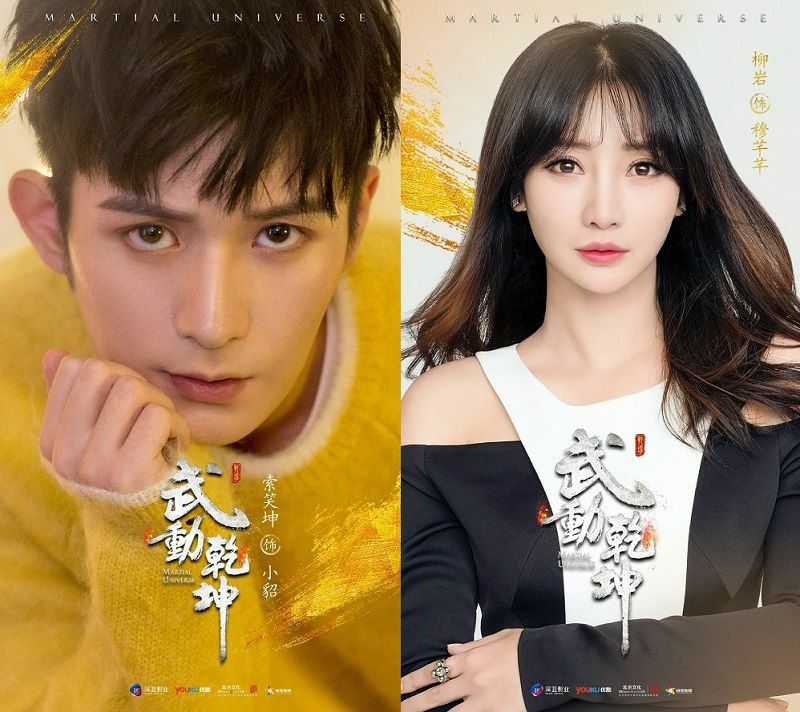 =======> ♦ New trailers and teasers for Wei Da Xun‘s Shuttle Love Millennium with Puff Guo and Janice Man. =======> ♦ Till Death Tear Us Apart has been pushed back to March 2017. Noooooo! But they released the full opening themesong today. I love the chorus so much!! It sounds so old-schooled!! I eat it up. 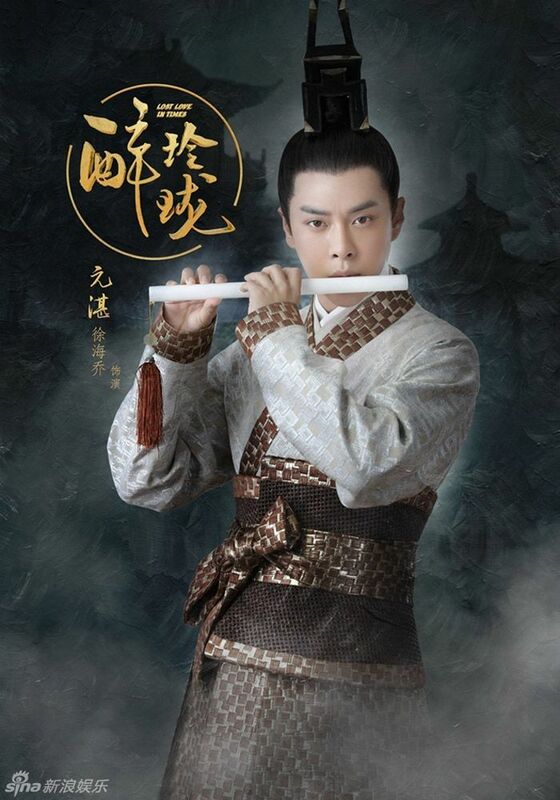 =======> ♦ William Chan and Liu Shi Shi’s Love Lost in Times reveals posters for the rest of their core characters. Joe Xu, Han Dong, Han Xue, and Huang Meng Ying. Is Han Dong sharing a wig with Shi Shi? Her hair looks so heavy…. =======> ♦ I’m so happy! 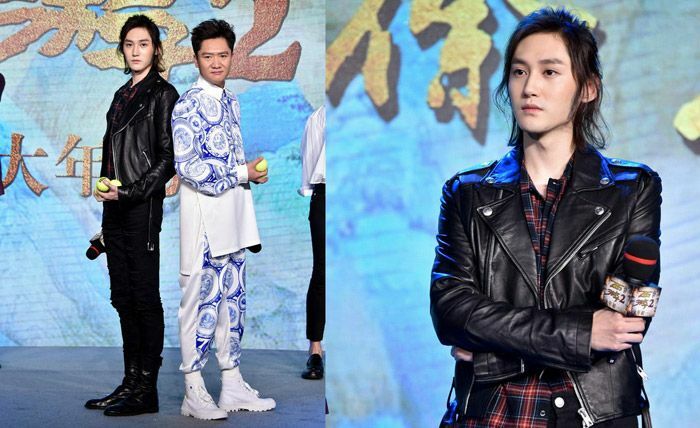 Martial Universe confirmed Ashton Chen Xiao Long, Liu Yan, and Suo Xiao Kun. WHOOPIE! 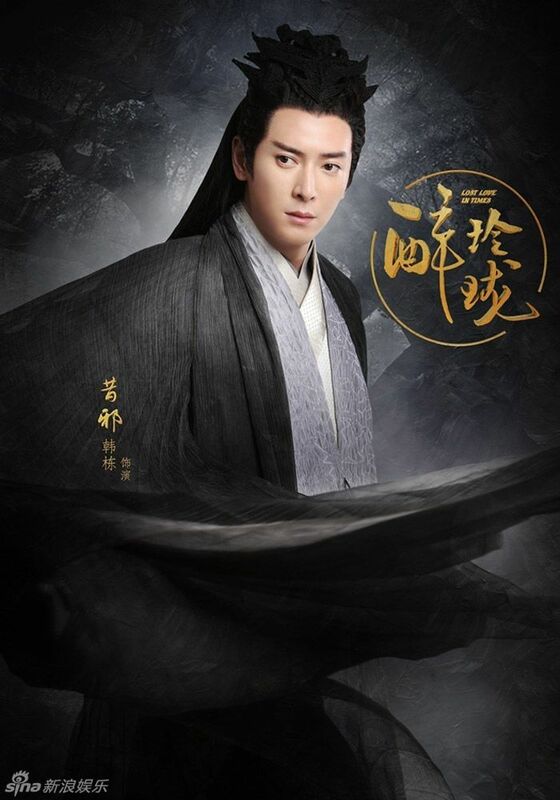 =======> ♦ Jiang Jin Fu‘s Royal Highness wrapped up filming on 11/10/16 after four months. =======> ♦ Li Yi Tong and Lu Yi are paired up for drama adaptation of Just To See You (只为那一刻与你相见) written by Xian Cheng. Booting ceremony was held on the 9th. Did not read this novel. Feel free to spoil me. Lol. 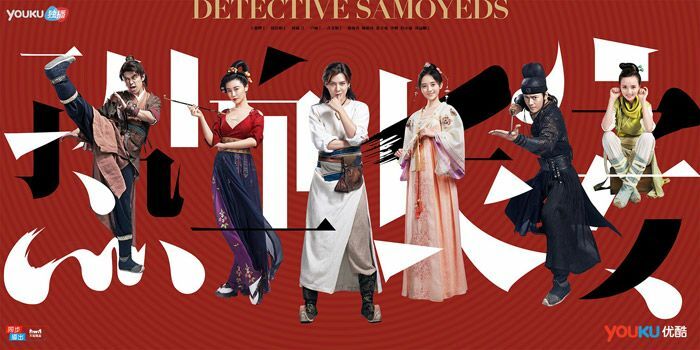 =======> ♦ Another Ding Mo’s novel to be adapted. Don’t Turn From Summer (莫负寒夏). Rumored leads are Wang Kai and Li Qin. Hmmm. What’s the possibility of Nick accepting the role, ladies? =======> ♦ Shawn Dou and Li Qin might not have a happy ending in Princess Agents but they are rumored up next in a modern drama based on the novel Variety Flowers At Seaside (剧海上繁花) written by Fei Wo Si Cun. The cast also includes Leon Zhang Yun Long. I was excited for Shawn and Li Qin before reading this one spoiler…. involving an R scene between the leads. These writers are really pushing the boundary for tragedies. Filming begins on 11/15. BAHHHHHHHHH. =======> ♦ Sigh. Yang Mi and Hawick Lau. Their marriage has never been smooth. The latest scandal says Hawick and Angel Wang Ou (starring in The Legend of Jade Sword), are having an affair. Yang Mi was interviewed when she attended Cosmo Event and said no matter what she trusts in Hawick. Hawick also posted on weibo explaining that he has learnt a lesson of not practicing the scripts late at night in a room. I feel bad for them but dude Hawick, you’re not a ROOKIE! C’mon now! 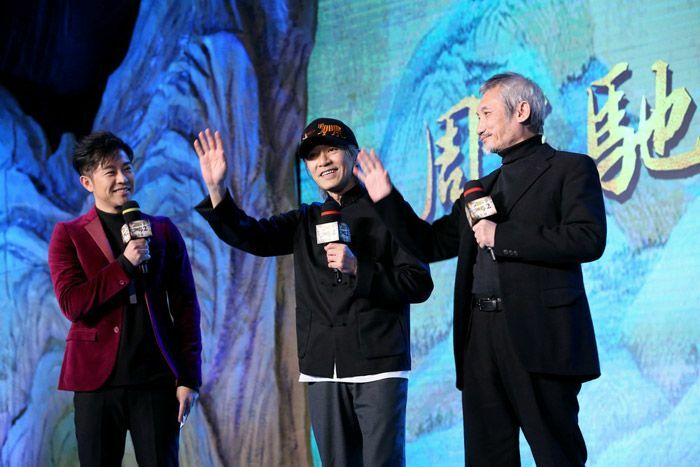 =======> ♦ Zhao Li Ying’s News-corner: I know some are anxious to find out more about Li Ying’s movie, Ride the Winds Break the Waves, with Deng Chao and Eddie Peng. Fan accounts say that they saw Li Ying on set in older clothing, revealing that she and Eddie will play parents to older actor Deng Chao. We are not privvy to more details but something does happen to the father, throwing the lives of everyone in the family into a turmoil. 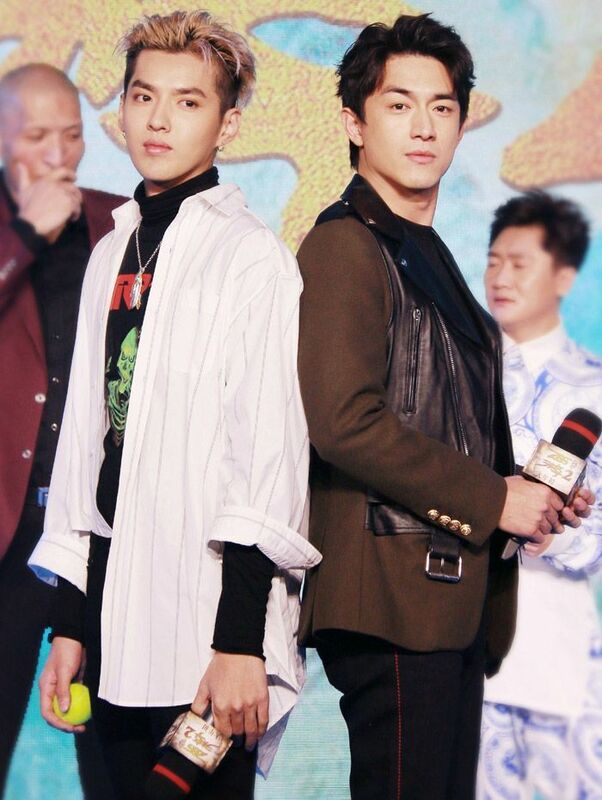 Fans are going wild with a lot of theories, and I like this one: Deng Chao time-traveling to the past to meet his parents in their younger days. Lol. 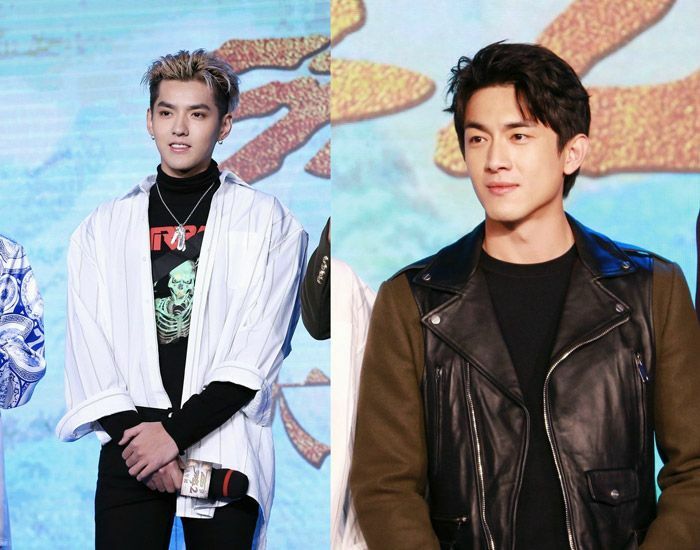 This entry was posted in Entertainment News, Music Videos, Trailers Galore and tagged Angel Wang Ou, Ashton Chen Xiao Long, Author: Fei Wo Si Cun, Boy-Boy Romance, Cdrama, Cdramaland Newsbreak, Cecilia Han Xue, Ceng Shun Xi, CMovie, Crystal Liu Yi Fei, Danny Jiang Zi Le, Detective Samoyeds (Righteous Ardor of Chang An), Ding Mo, Don't Turn From Summer, Don't Wanna Say Goodbye, Duckweed (Ride the Winds Break the Waves), Elvis Han Dong Jun, Han Dong, Hawick Lau, Ian Wang Yan Lin, Jane Zhang, Janice Man, Jasper Liu, Joe Xu Hai Qiao, Journey to the West: Conquering the Demons 2, Ju Jing Yi, Just To See You (只为那一刻与你相见), Kris Wu, Legend of the Ancient Sword 2 (古剑奇谭二), Li Lan Di, Li Qin, Li Yi Tong, Lin Geng Xin, Liu Shi Shi, Liu Yan, Lost Love in Times (Zui Ling Long 醉玲珑), Lu Yi, Lu Zhuo, Maggie Huang Meng Ying, Martial Universe (武动乾坤 Wu Dong Qian Kun), Mike Pirath Nitipaisankul, Novel Adaptations, Princess Agents – The Legend of Chu Qiao (处特工皇妃), Puff Guo, Royal Highness (回到明朝当王爷之杨凌传), Sebrina Chen Yao, Shawn Dou Xiao, Shuttle Love Millennium, Suo Xiao Kun, Tears in Heaven (Variety Flowers At Seaside 海上繁花), Tiffany Tang Yan, Till Death Tear Us Apart (Love is in A Blaze), TwMovie, Vivian Sung Yun Hua, Webdrama, Wei Da Xun, When We Were Young (青春最好时), William Chan, Wu Xin The Monster Killer 2 (无心法师2), Yan Zi Dong, Yang Mi, Zanilia Zhao Li Ying, Zhang Xue Ying by Kappy. Bookmark the permalink. 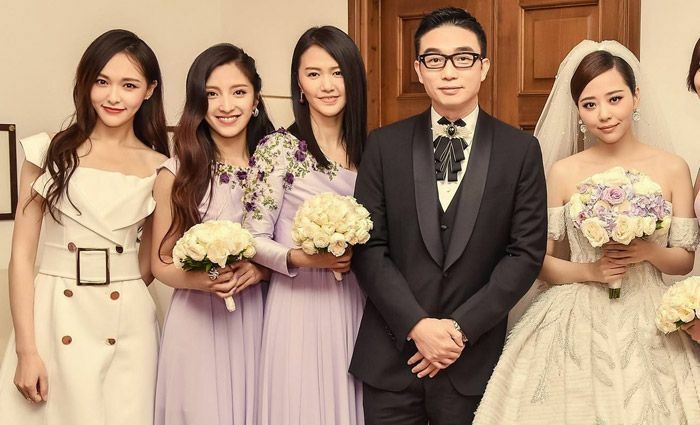 Wow..Jane Liang’s wedding has Liu Yi Fei as one of the bridemaids.. she looks like a fairy and sort of outshines the bride. 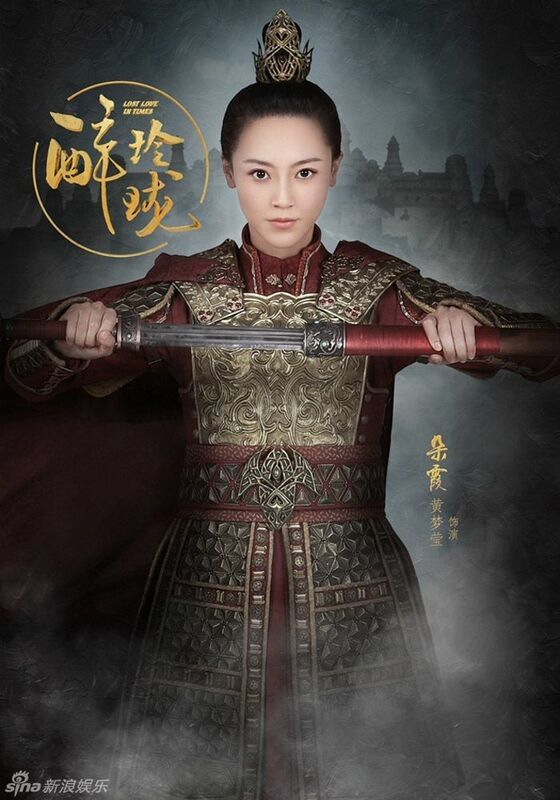 wish Jane Zhang a lifetime of happiness ..
That poster of “General and I” though… ‘Wow!’ Such a beautiful pair! Hawick Lau and Wang Ou should have known better…hurtful rumours like this could have easily been avoided. Man…Wallace and ABB look good together. Poster is nice! I can’t wait! So many novels to dramas adaptations. That’s the trend! Happy for Xiao Long! Did Gina Jin ever confirm? Or did I just miss it? 莫负寒夏 was such a disappointing book, easily my least favorite modern non-mystery Ding Mo book. It had a lot of potential at first but it seemed obvious that the author had penned it just for the sake of pacifying fan requests for a story on Lin MoChen. He was first introduced in another one of her books and she had made him so mysterious there that everyone start asking about his story. Sadly his story never lived up to the hype. Officially, Gina never confirmed. I’m still waiting!! Lol. They might as well rewrite the whole story! The whole Hawick and Wang Ou scandal felt like a witch-hunt to me. The ‘evidences’ didn’t even look believable to me, but yeah both of them should have known better. I don’t know if most of the actors and actresses discuss their scripts in their own rooms or what, but as a married man, he shouldn’t have just entered a single woman’s room in the night, no matter what reason it was. The way things are going, even if the whole scandal isn’t true, it will definitely cause some kind of harm to Yang Mi and her daughter if people kept on going on about this cheating thing. They said the stylist were some famous stylists for Love Lost in Times… but what am I seeing lol! The hair is a no go! Yes, they even asked the grandparents, going too far. I wonder what’s going on in the background that these two keep getting smeared endlessly. Who did they offend and could I apologize in their stead? Please! When it comes to hair, I judge them individually! LOL! I sincerely feel sorry for this couple. But I can more curious where are the negative coming from? From the Hong Kong media or the China media? But work in China but their main base is in Hong Kong. They both probably don’t spend time/ money bribing the media enough….Both are not interested in playing this games. 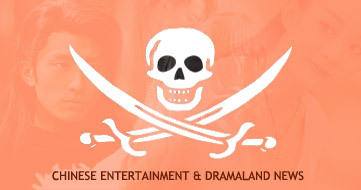 Martial Universe is a drama right??? 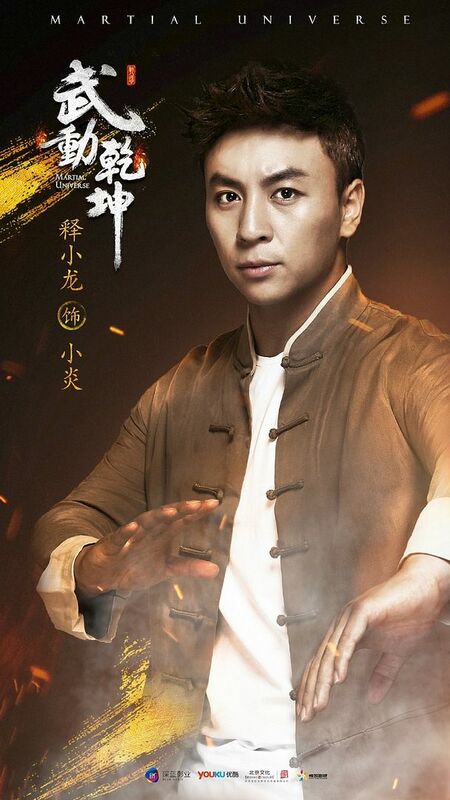 He looks so mature in the poster but there’s still an unmistakable familiarity in his features to his Young Wong Fei Hong self. I do hope he has an interesting story line as well and not just put in to be a one dimensional martial artist. Adding this to my watch list!! 1. 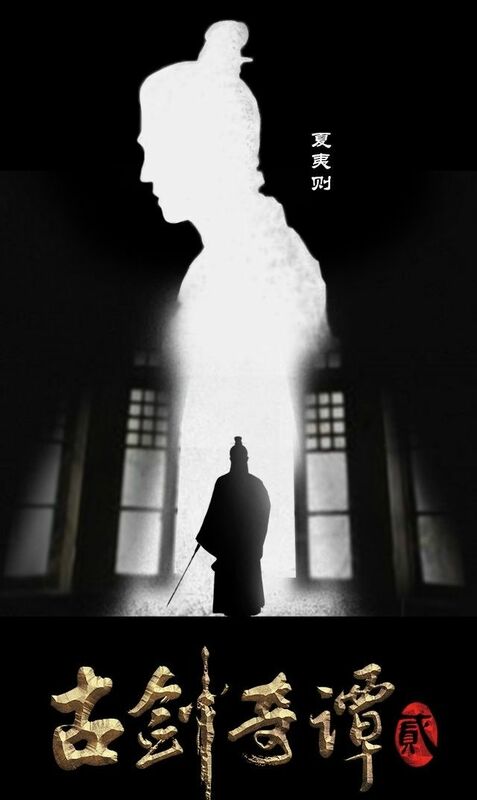 Wang Kai possibly in another Ding Mo adaptation? 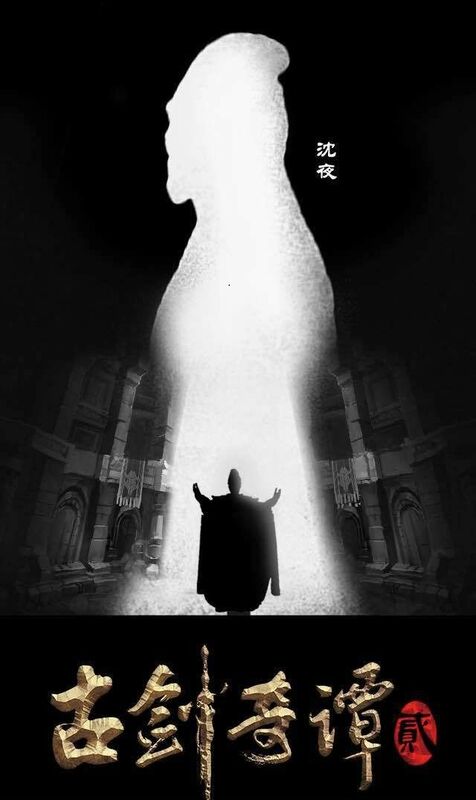 What is he – the template for all the heroes in Ding Mo’s books?? 2. 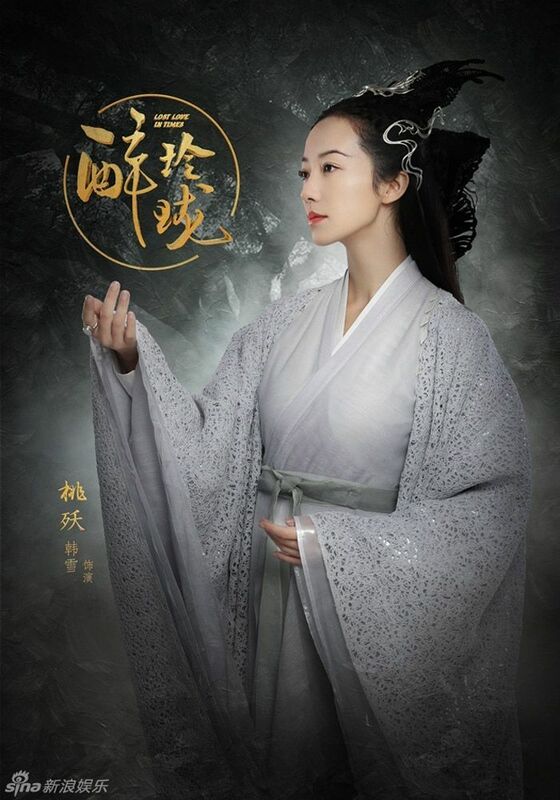 Li Qin in a FWSC drama with R scene….but but her character in Princess Agents is also gonna get R-ed, at least not by any of the male leads.But still…. and dang FWSC really likes violence in the relationships of his CPs. In all honesty, I do not like FWSC stories. Lol. I agree with you, Kappy. Her stories feel semi-creepy, dysfunctional. Has anyone get her checked out by a psychologist? I just mean to say that surely her constant obsessions with her unusual story lines must mean something. I just want some psych experts to tell me her possible motivations, reasons, and why there are so many readers who like these story lines. I just want to try to understand a bit. Like maybe her childhood was too happy, so she craves for the less happy stuff? Or is it just a financial strategy? She sees an open market in the novel writing world, so she’s writing these darker stories just to make lots of money? I just feel uncomfortable with her stories and cannot understand their mass appeal. Agree! I just don’t get why most of her leading male characters are so manipulative and abusive. They’re so intent on seeking revenge on the girl they supposedly love if she doesn’t love him back. Or if he’s particularly interested in a girl, he’ll try everything and anything to get her in his possession. Maybe some women think this is a sign of how deep the man’s love is. To me, it’s just an unhealthy obsession of an overgrown boy who was never told no. What’s worse is that the female lead eventually succumbs. It’s sad. Took the words out of me! 愉此一生. When the news of the delay came out a couple days ago, first time, anywhere, I used “WTF” in my comment. Now it’s almost certain that regardless of what the original vision is or how “cleaned up” it is, this drama’s central theme will be destroyed. What in the world was Hawick Lau thinking? As a married man with a daughter, he should’ve known better, along with her co-stars and other staff who were with them. No matter if this scandal is true or false, it caused nothing but harm to Yang Mi and her family. im with you all. what was hawick lau thinking? entering a room at night with an actress??? he knows the paps are always chasing him for ANYTHING and EVERYTHING. i feel bad for yang mi and his parents, being dragged into the whole mess. he’s not new into the entertainment either, his parents are actors! he’s so tactless it’s upsetting me. lol. That’s it! 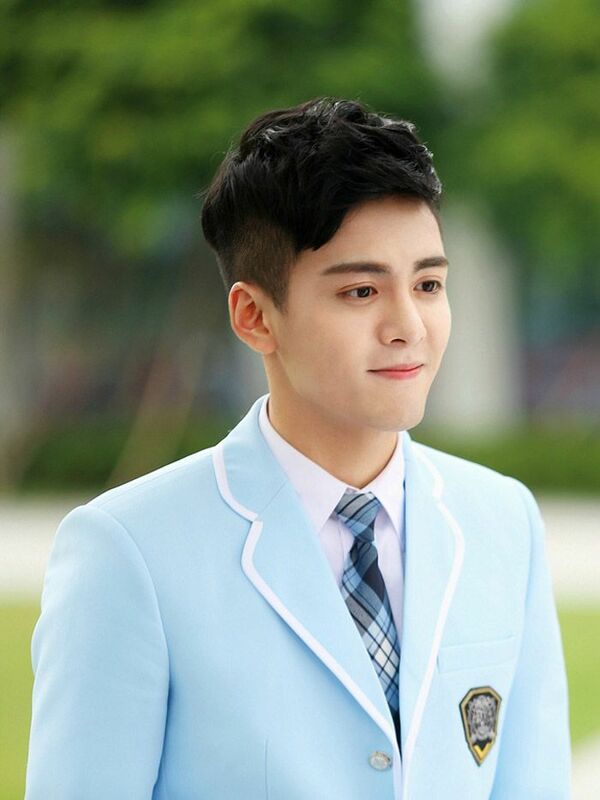 Han Dong’s character is the great wizard of the world unmatched in astronomical powers until he met Liu Shi Shi whose wig is higher than his. 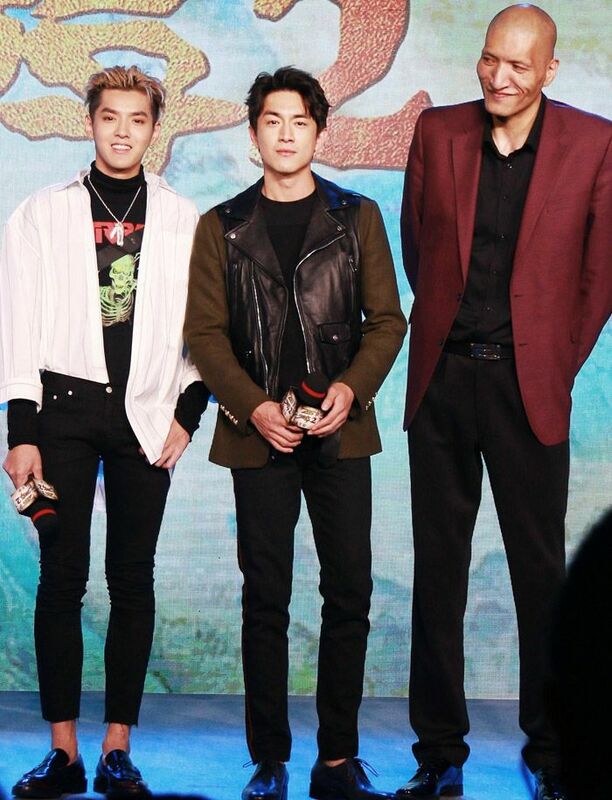 My excitement for Martial Universe has proliferated!!!! The Journey to the West “trailer” is not the actual trailer… that’s the point. It’s a spoof. And it’s hilarious! This movie is gonna smash in the box office. lol. not everyone has to find it hilarious. i geddit but it just wasn’t really funny. i miss stephen as an actor, not so much behind the scene. Oh I wasn’t trying to say everyone has to find it hilarious. I was just saying it wasn’t a serious trailer by any means because it wasn’t really specified in the description above. He’s a great actor and he was funny in this trailer actually… most acting he’s done in forever lol. I was shocked to hear of Hawick’s cheating. He was always gushing about his wife and daughter on TV. The Chinese netizens have pretty much believed he did the deed, some of them are saying: if you can’t stay committed, don’t get married and you can screw around all you want. Thanks for the updates Kappy. You made my week. I am very much looking forward to new dramas especially Princess Agent with ZLY. 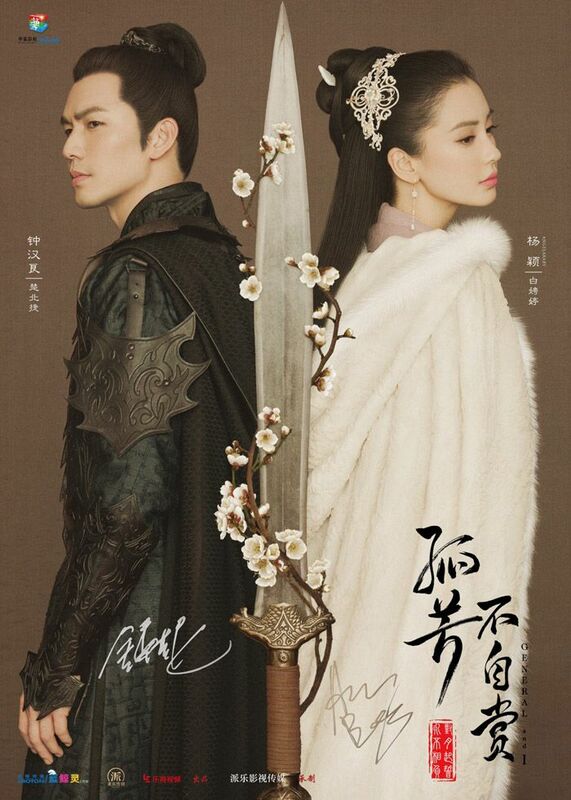 The General and I poster looks great and I hope the drama is not going to be a disappointment. I am not sure about the others although I do like LSS so pretty much looking forward to seeing her again. I finished Mystic Nine and enjoyed it and was shipping hard ZLY and WC (such cute couple) although the ending left me in suspense and I was like…..what?? Do you know when is the New Eternal Wave coming out (I may have missed the air date in an earlier post maybe) ? I only watch fighting , where are the fighting dramas ?????? Where are my 玄武 & 太極宗師之太極門 going to air ????? Rumoured drama of the remake of Romance in the rain. My chinese is not so good though so I am not sure if this is old news that has resurfaced??? Have you heard anything? Yep, it’s old news. Haven’t heard much on it. Though I still really want her to be in it!! GAHH. Such a good role.